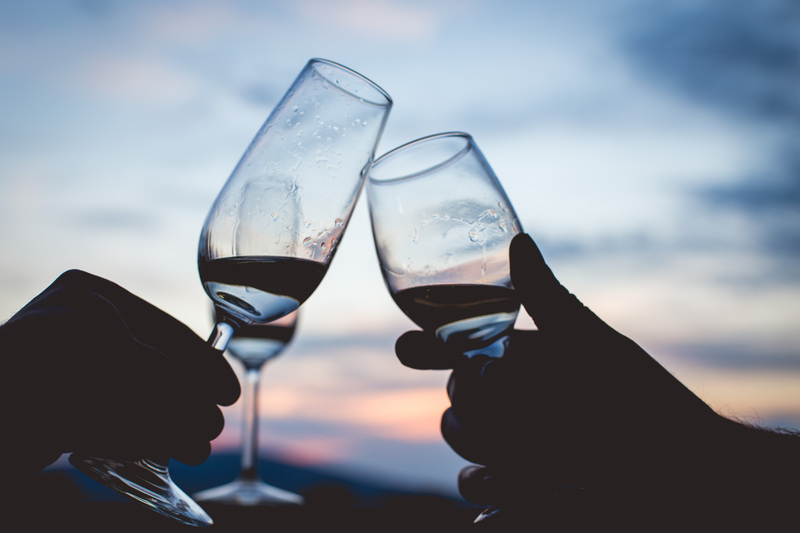 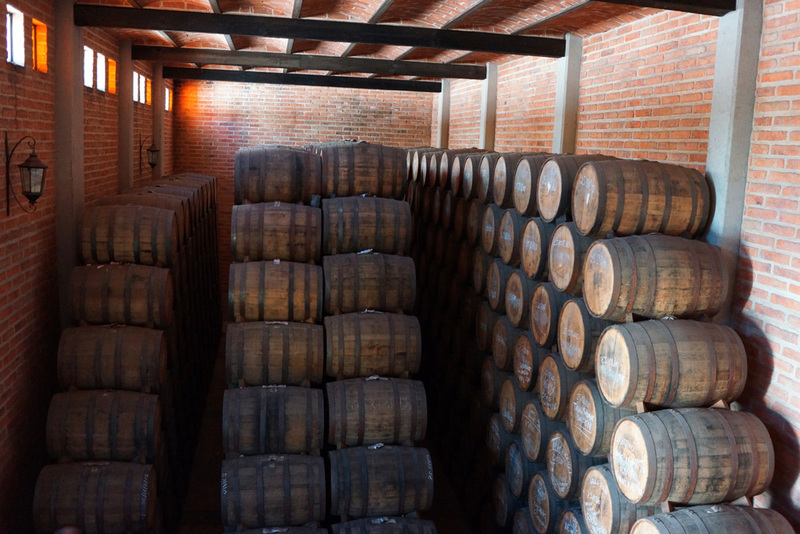 Tequila, like Scotch, Cognac and Champagne, is a “Denomination of Origin” beverage, meaning that legally it can only be produced in a certain region of the world. 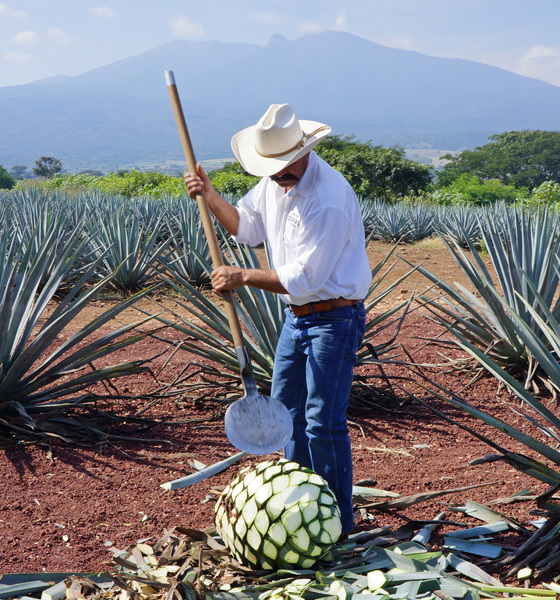 By law, five of Mexico’s 31 states are allowed to produce Tequila, and 98% of this production happens in the western state of Jalisco. 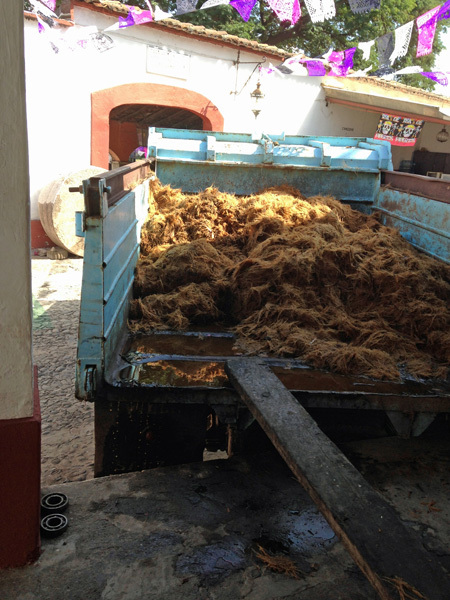 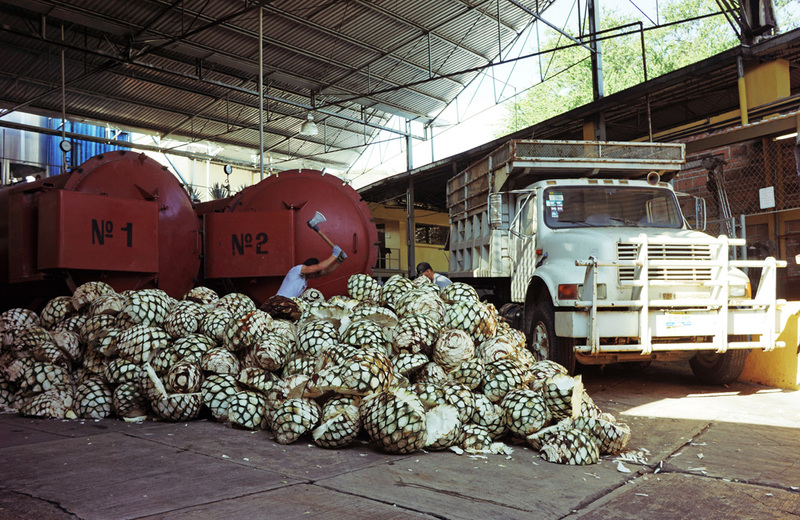 The raw material for Tequila is the agave plant. 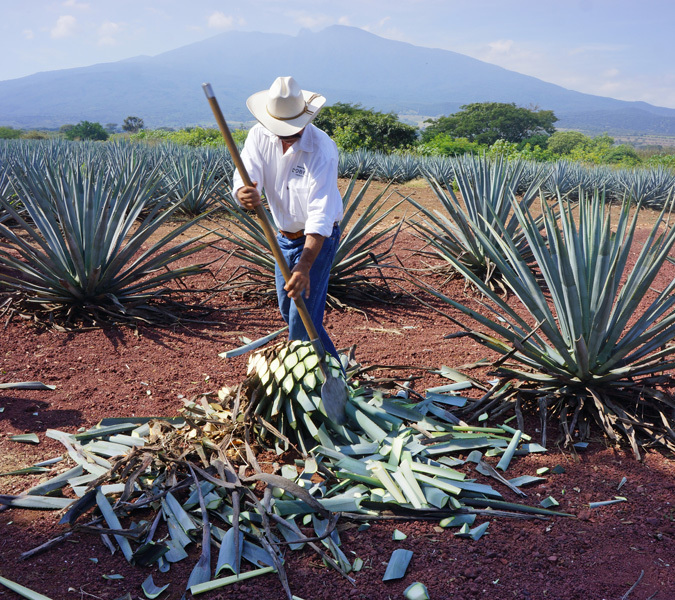 About 200 native agave plants grow in Mexico, but only one variety, the Blue Agave, can be used for Tequila. 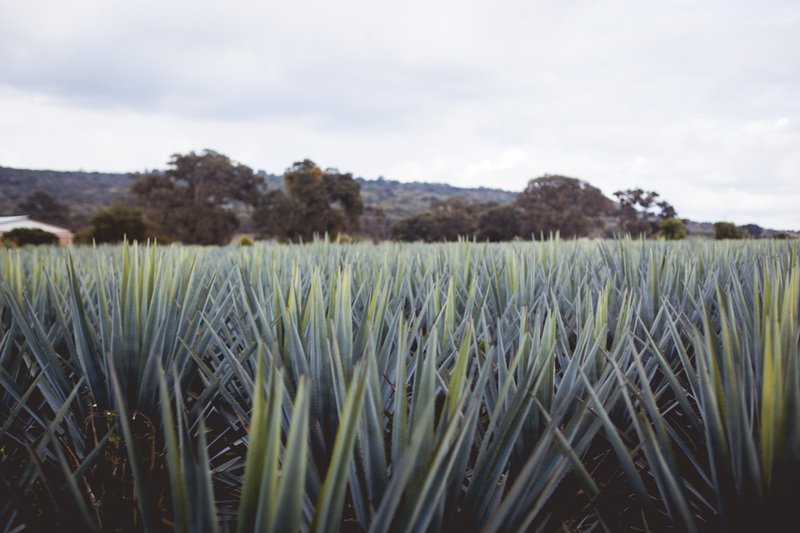 The Blue Agave must grow and mature for 7-9 years in the fields, hillsides and mountains of Mexico before they can be harvested for Tequila production. 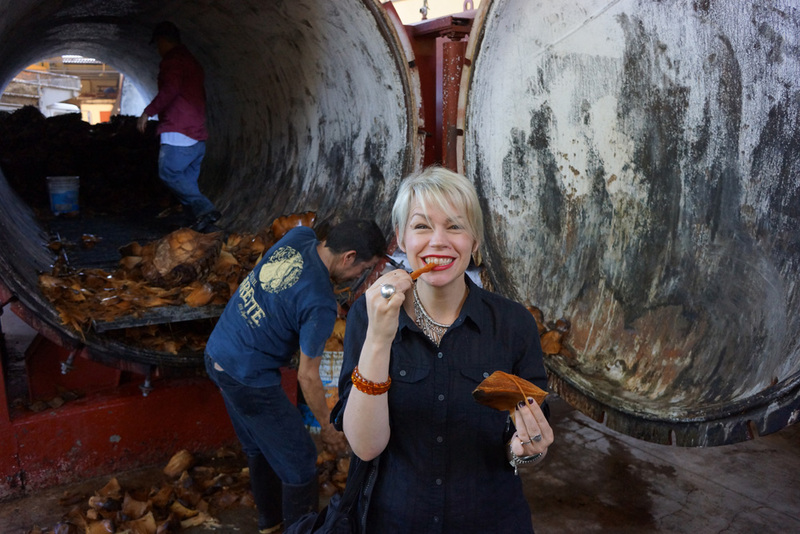 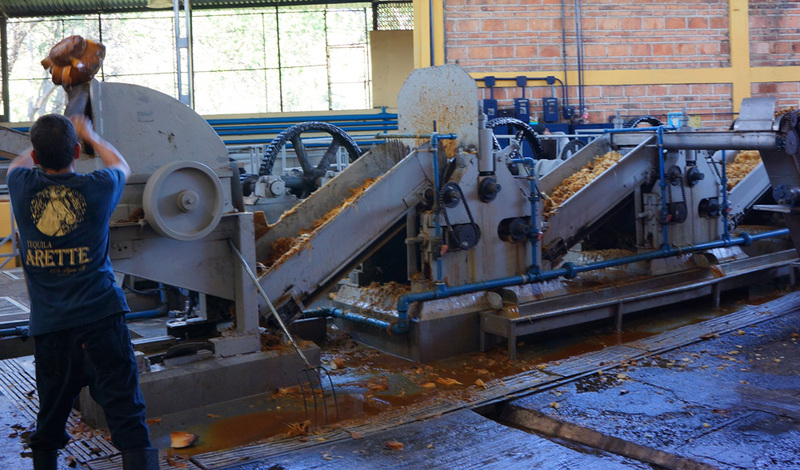 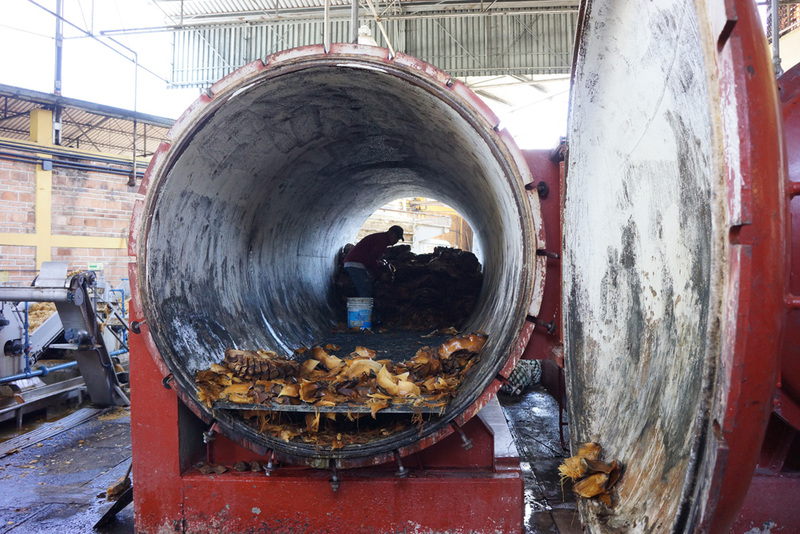 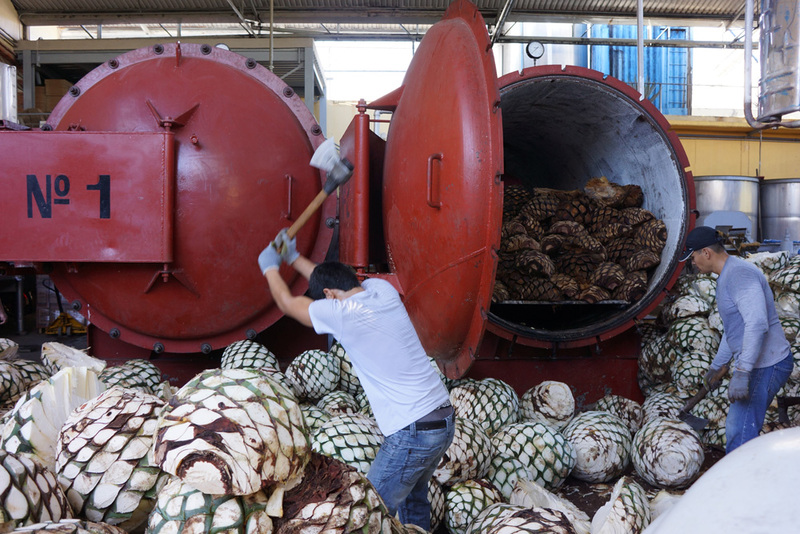 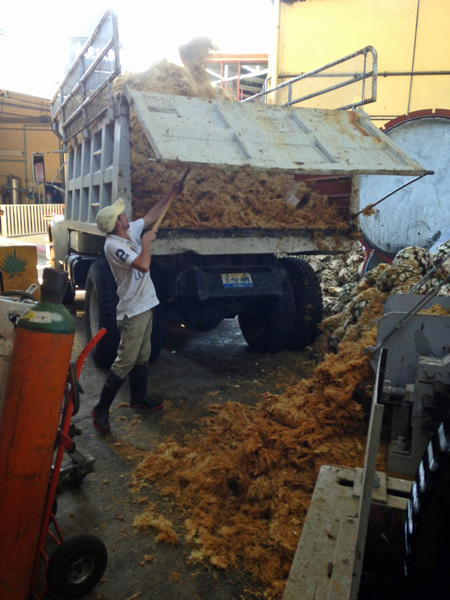 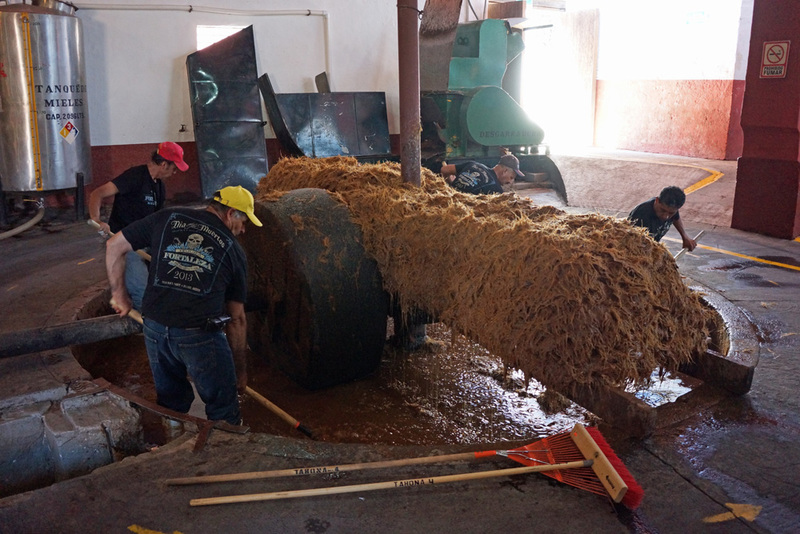 To turn raw agave into Tequila, the heart of a mature blue agave plant (called the piña) is slow cooked before being crushed or shredded to extract its juices. 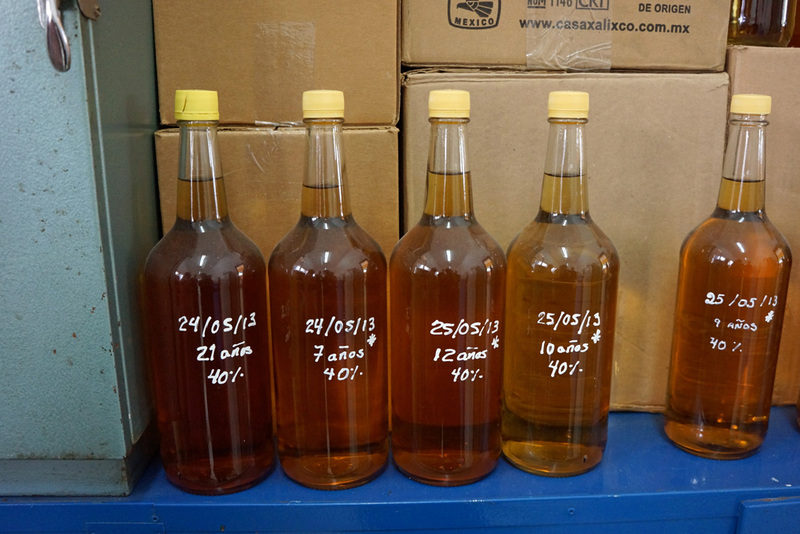 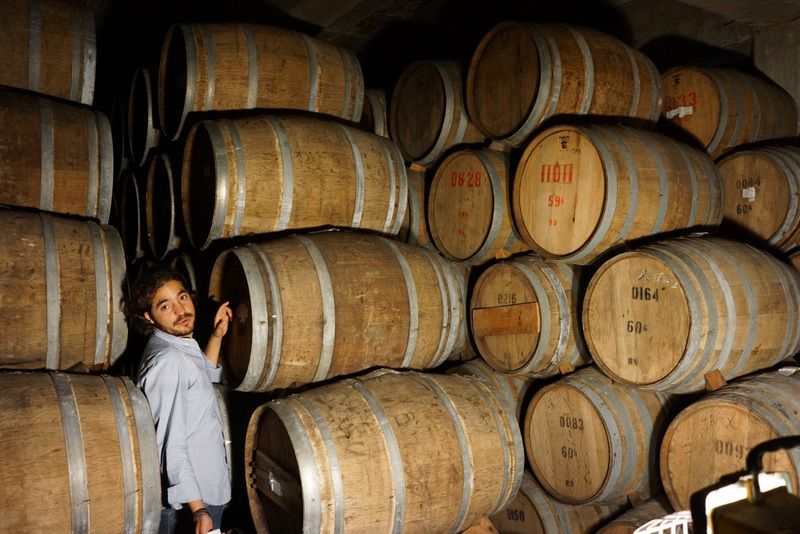 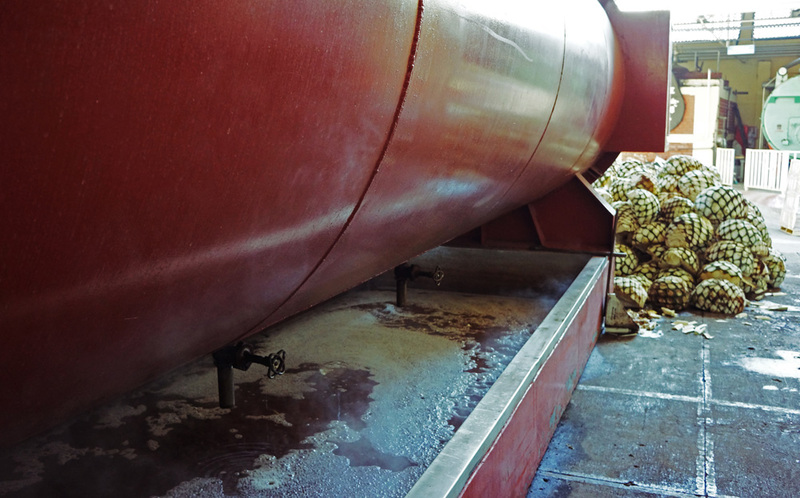 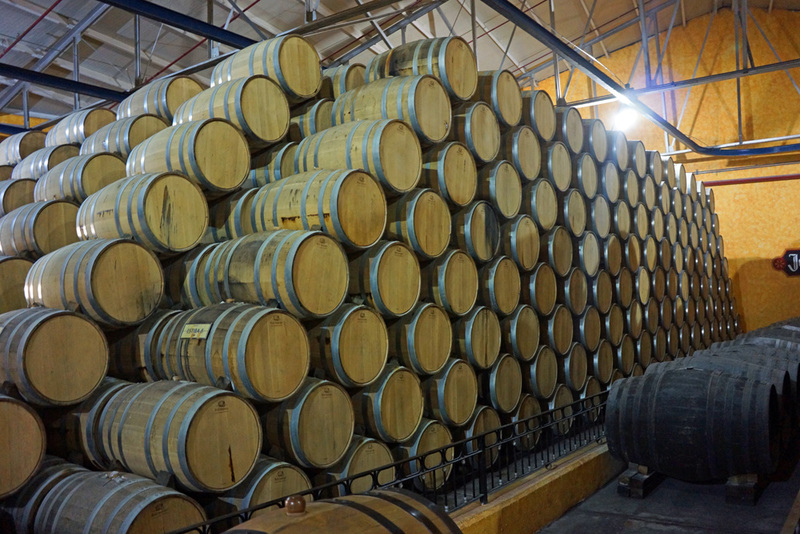 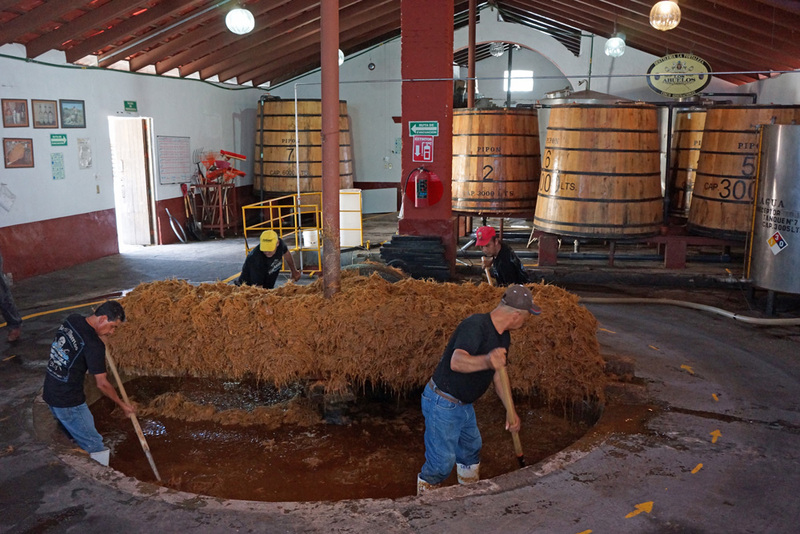 The juices are then fermented, double distilled and bottled or barrel-aged. 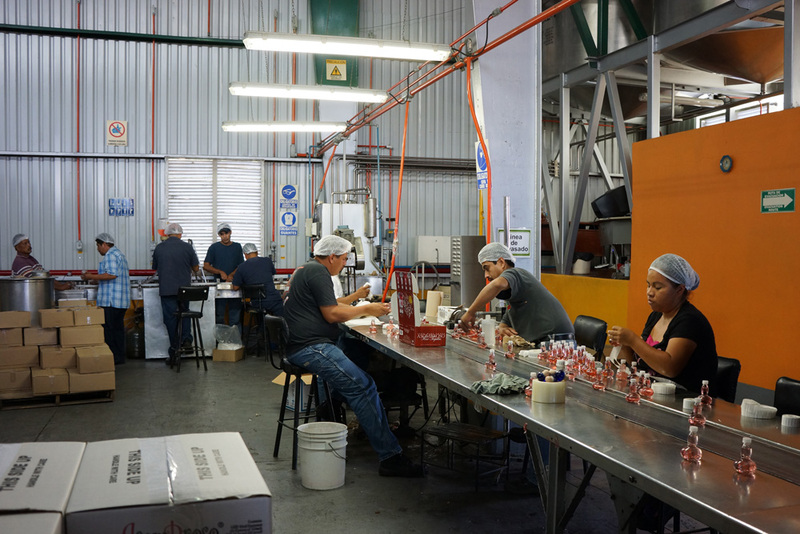 These are the basic steps of production. 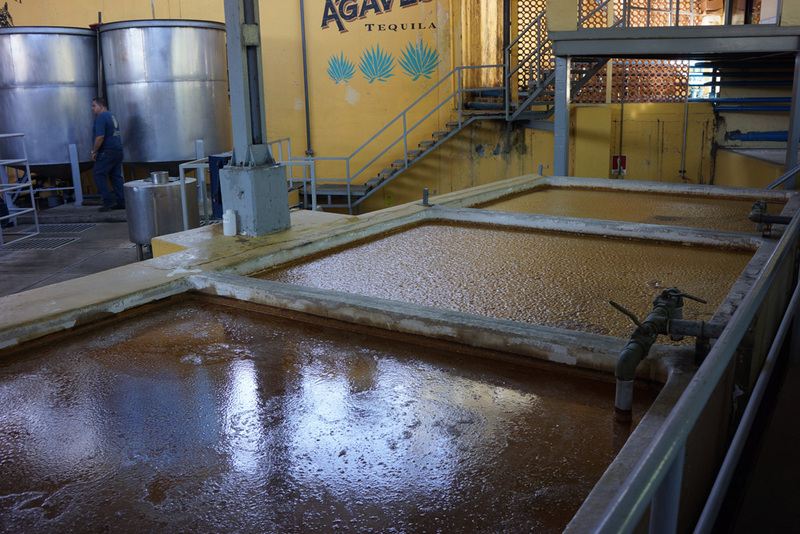 Yet to craft great, 100% Blue Agave Tequila, with aromas and flavors full of earth, spice, fruit, and herbs, producers consider very carefully the land where the agave is grown, the area’s climate and elevation, the location of the distillery, the equipment used, the water source, the yeast for fermentation, and aging techniques. 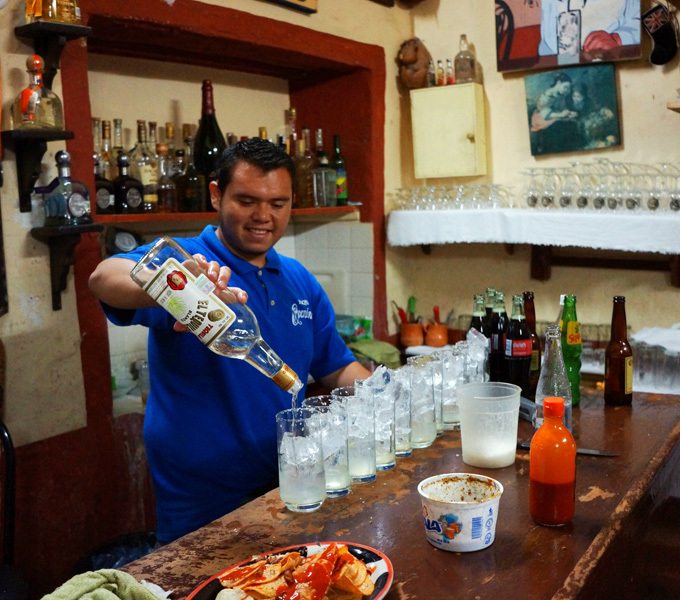 These factors all impact the taste of Tequila, and give the spirit a unique sense of place. 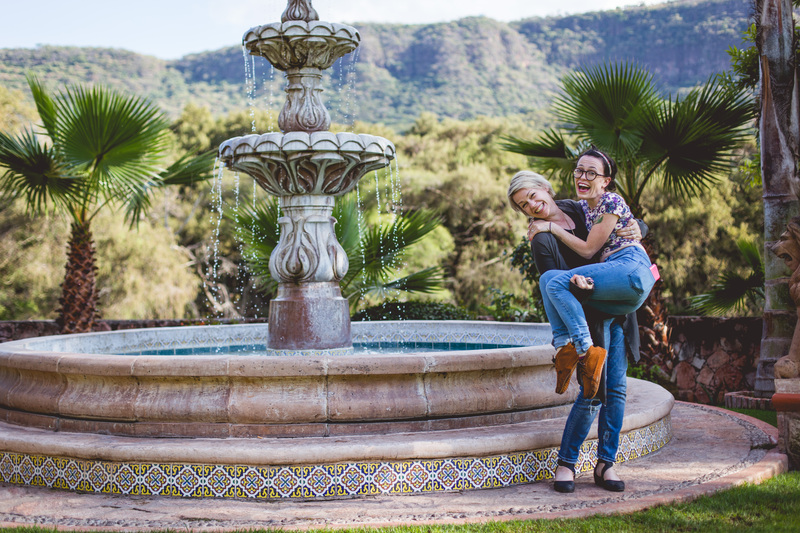 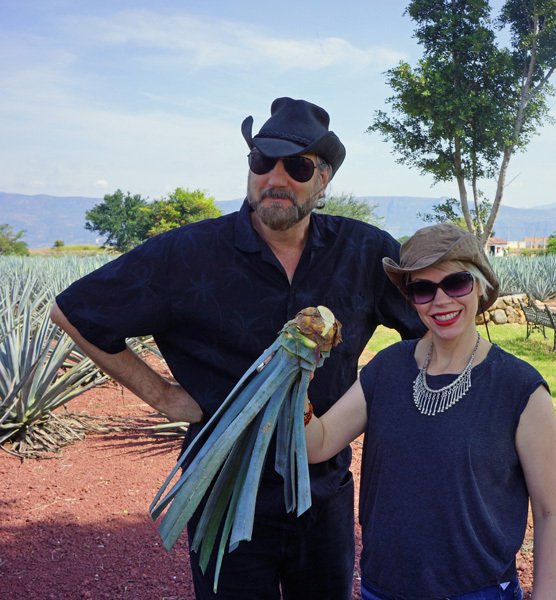 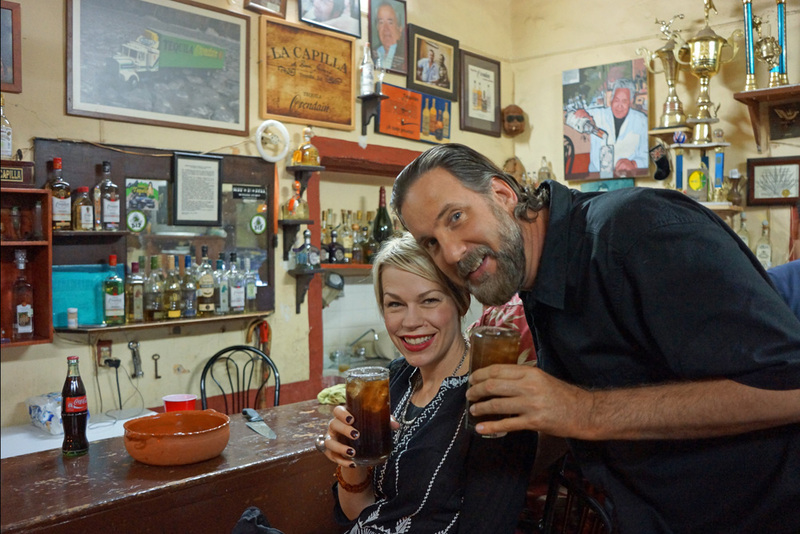 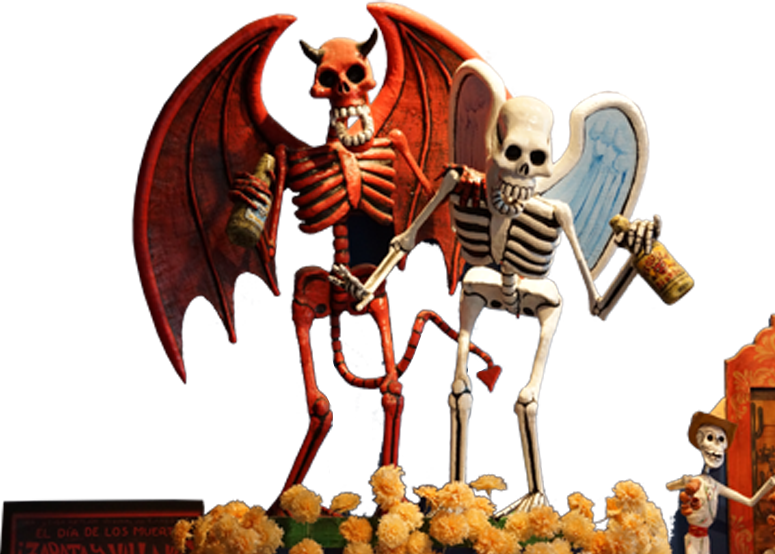 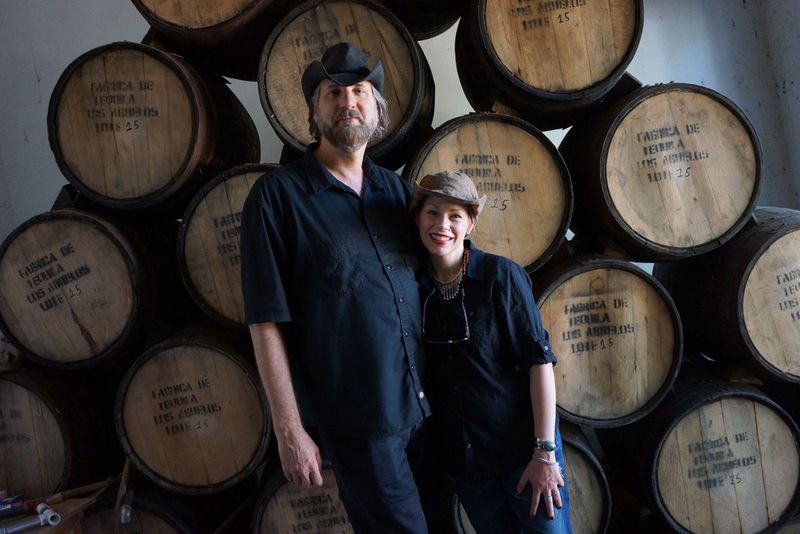 Kristen and Michael, owners of Bone Garden Cantina, have traveled to Mexico’s two main Tequila-producing regions in the state of Jalisco. 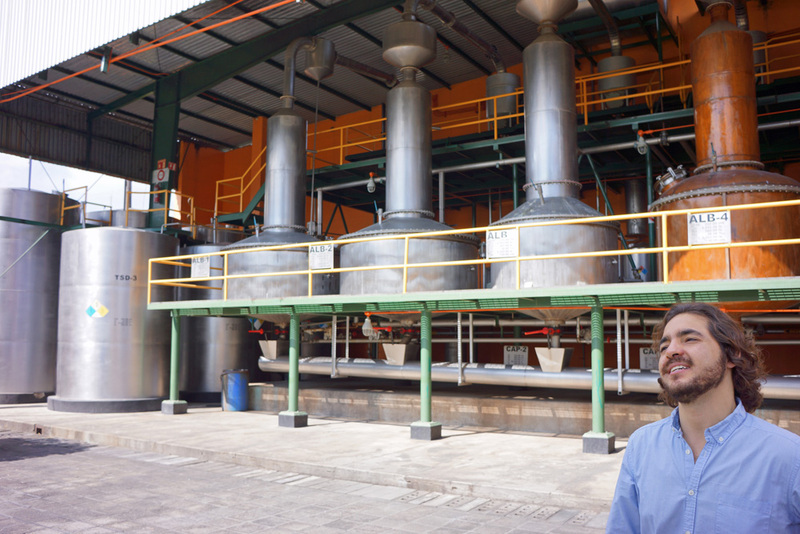 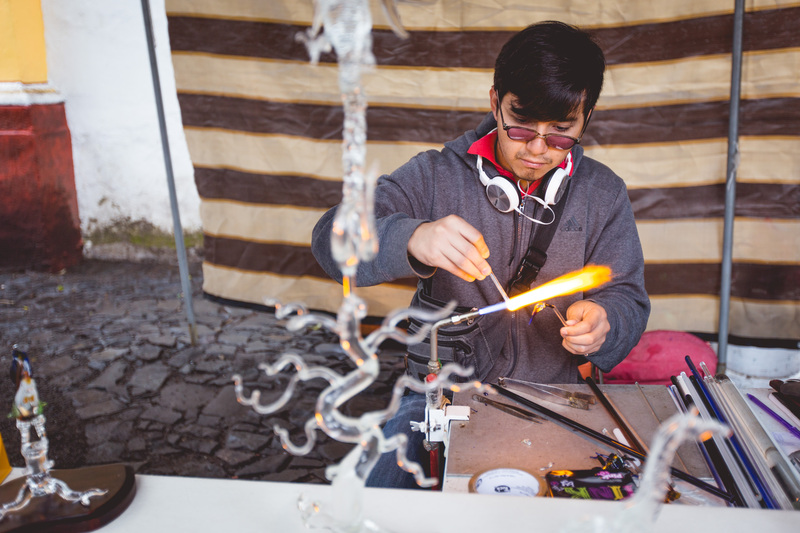 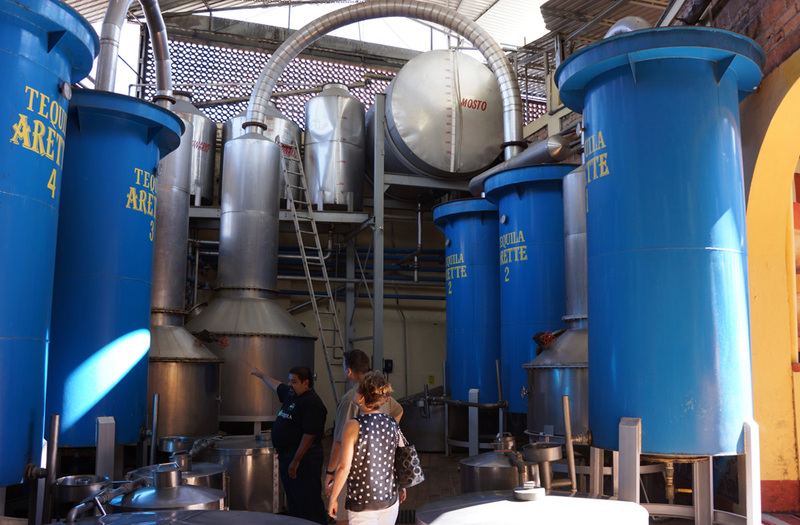 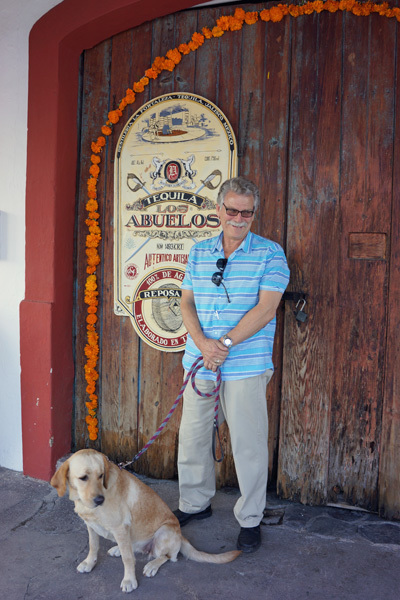 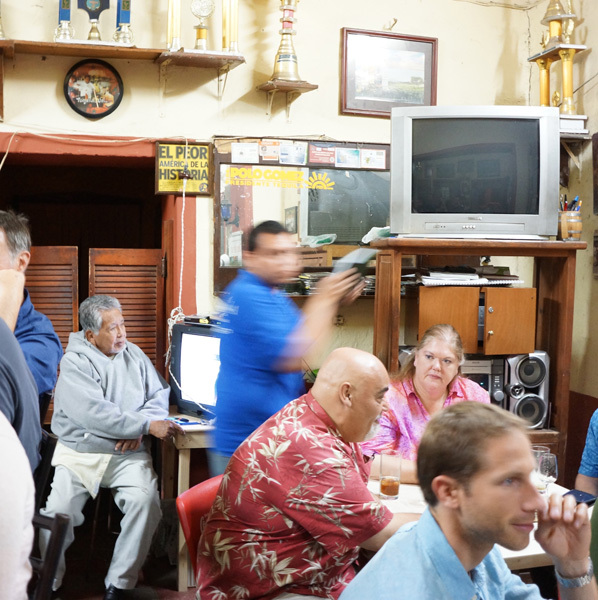 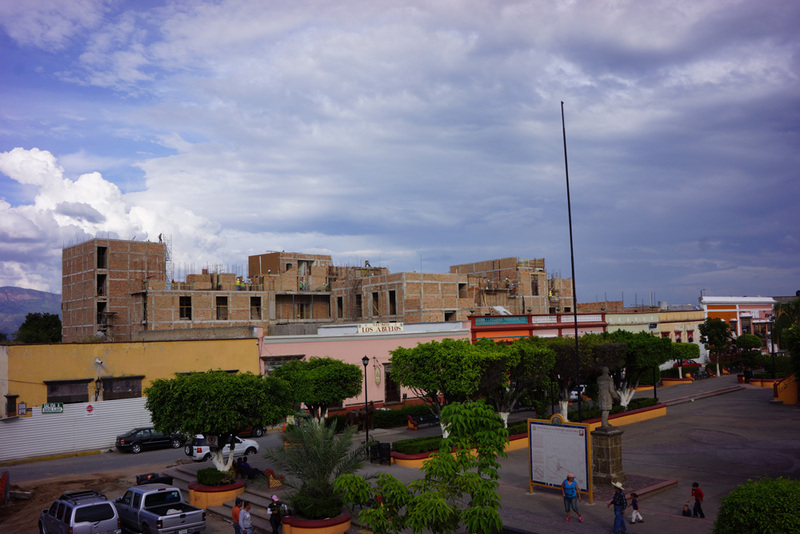 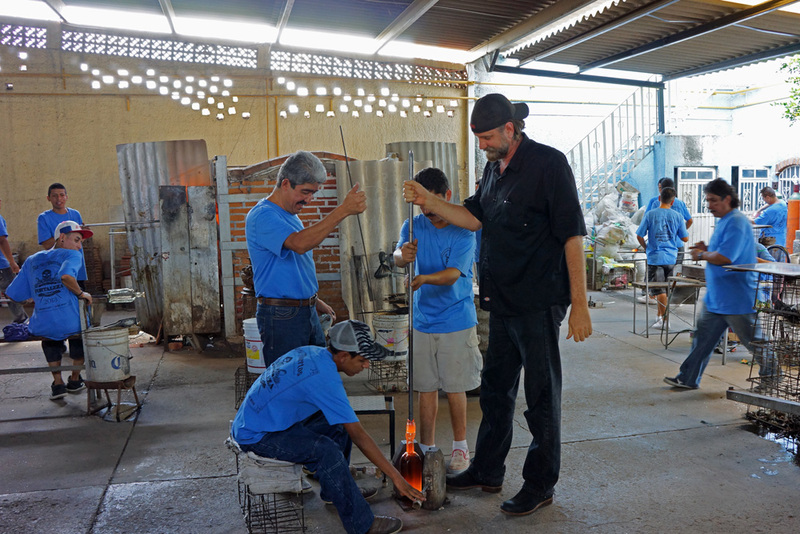 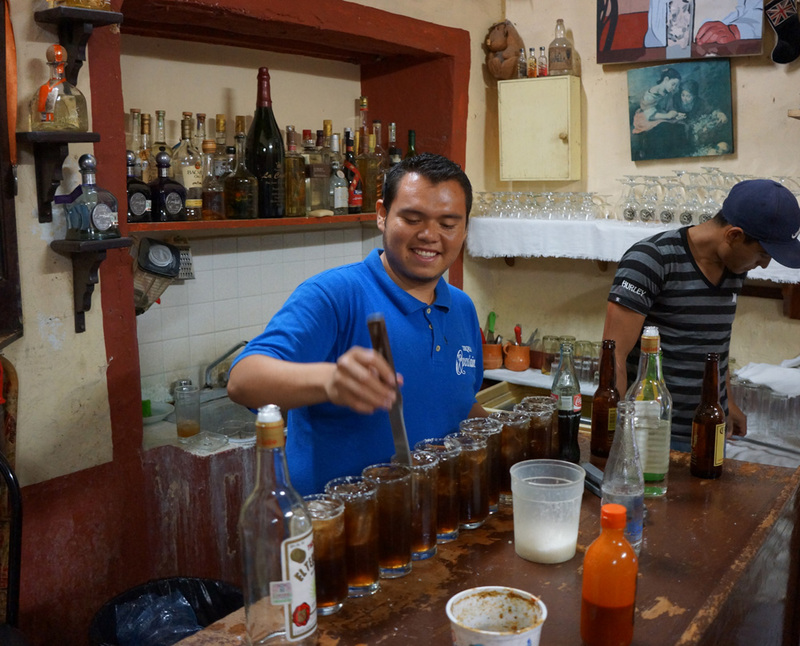 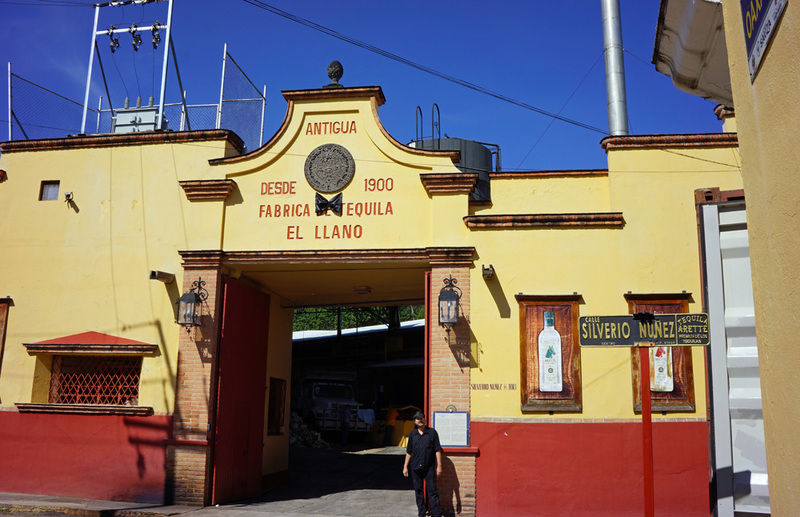 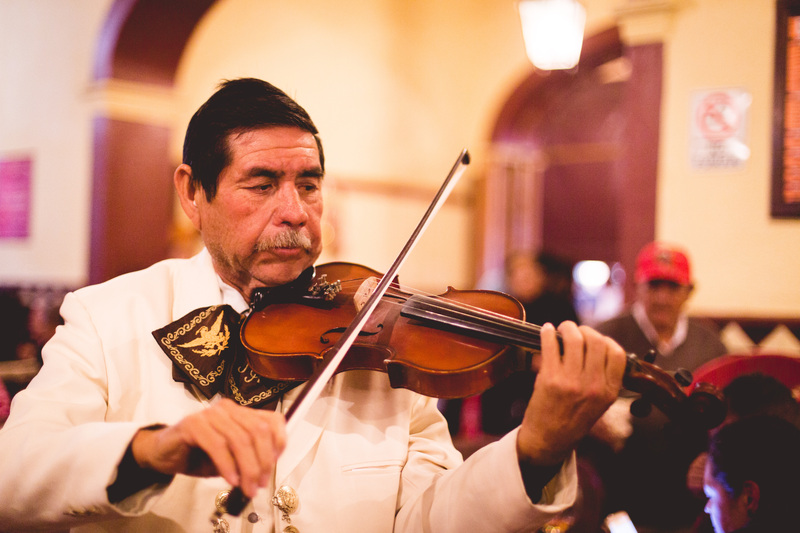 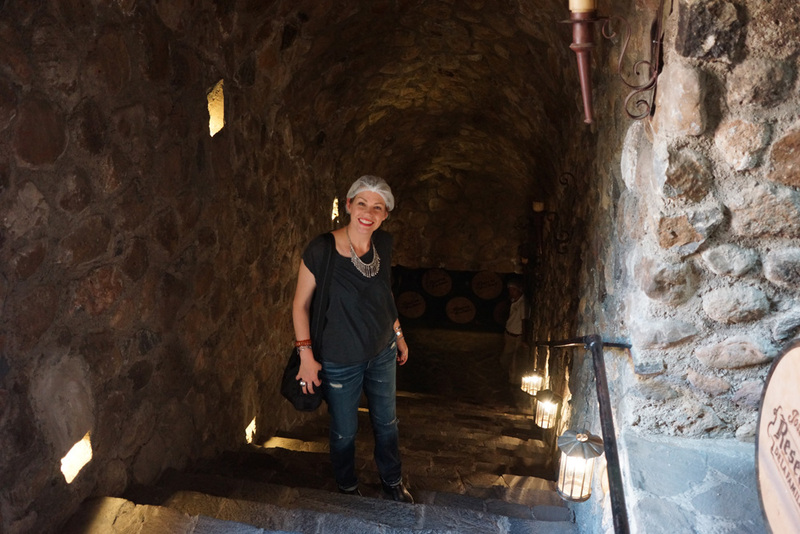 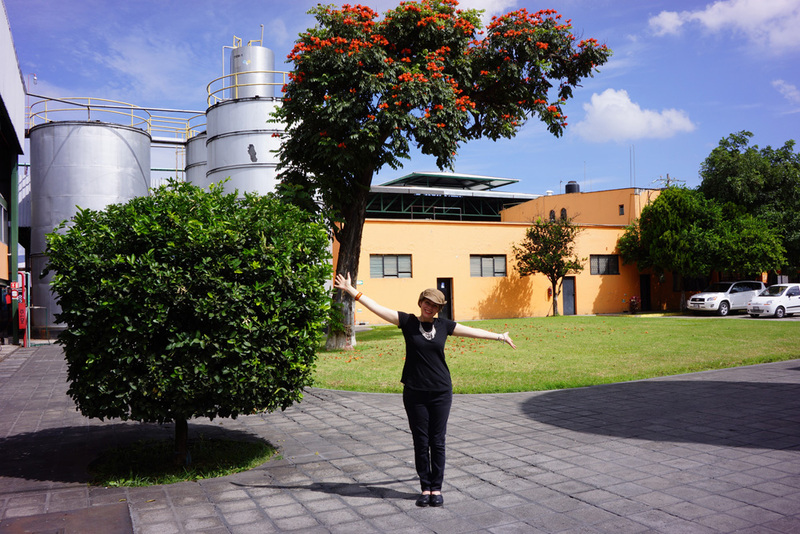 Here are photos from their trips to the agave fields, Tequila distilleries and towns in these different regions. 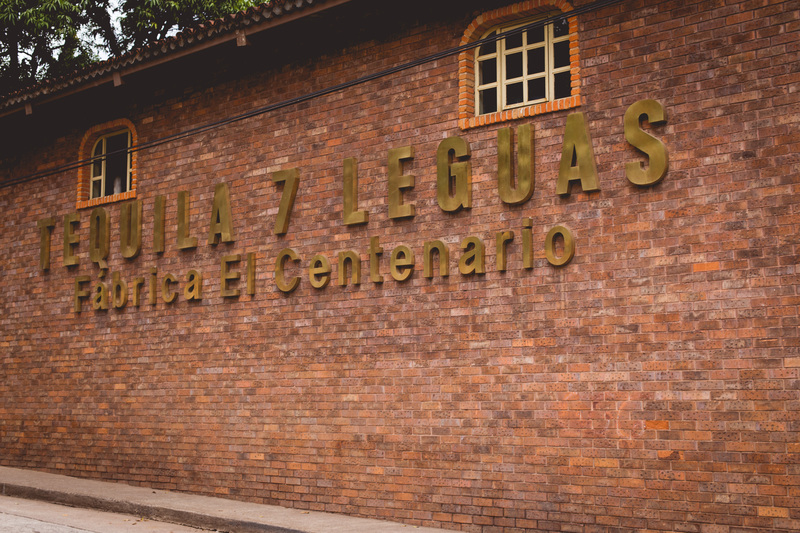 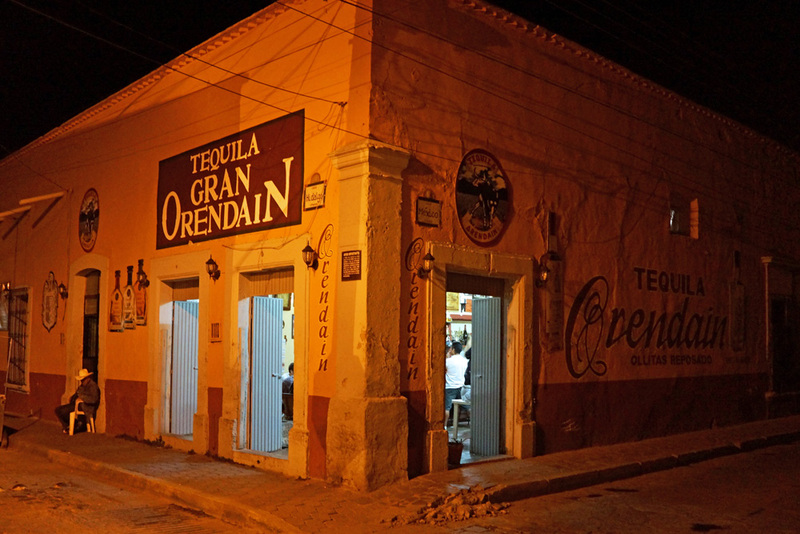 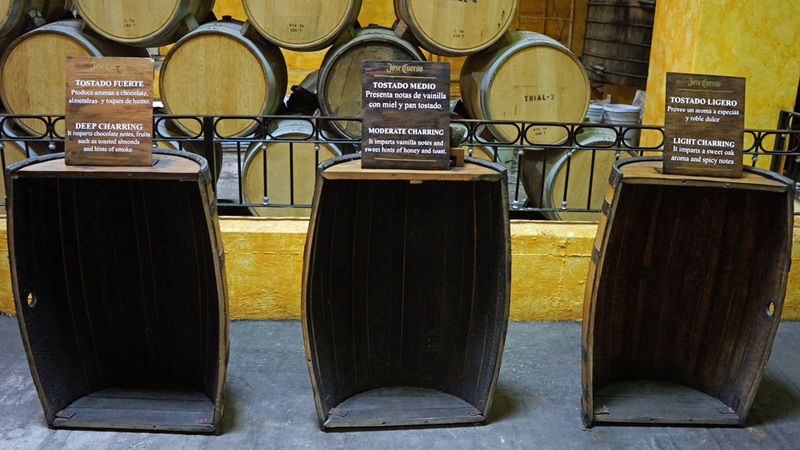 Located about an hour northwest of Guadalajara , the Valley of Tequila is the birthplace of the Tequila industry. 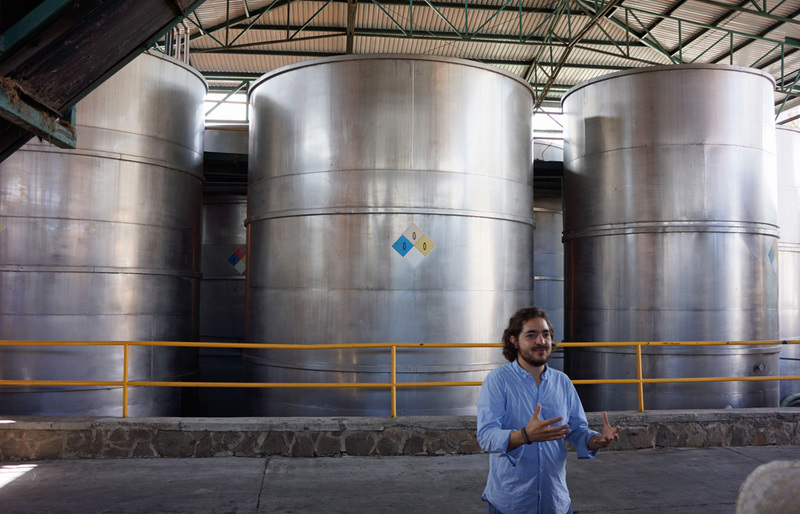 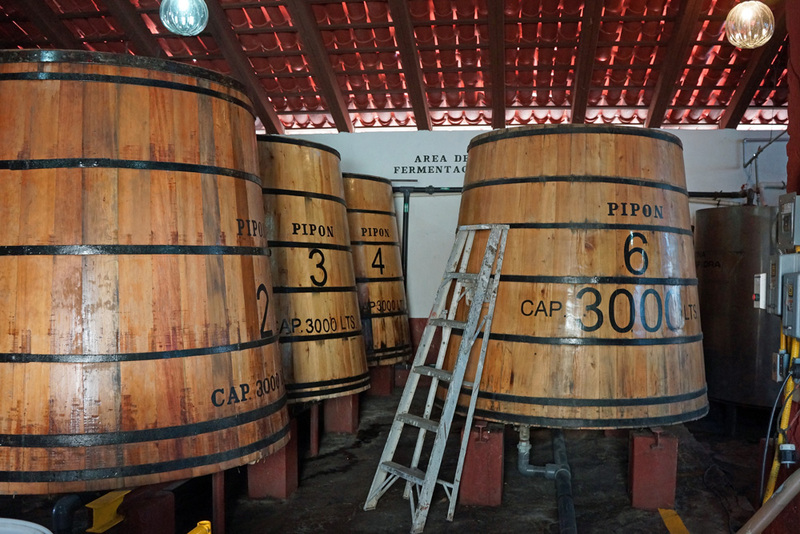 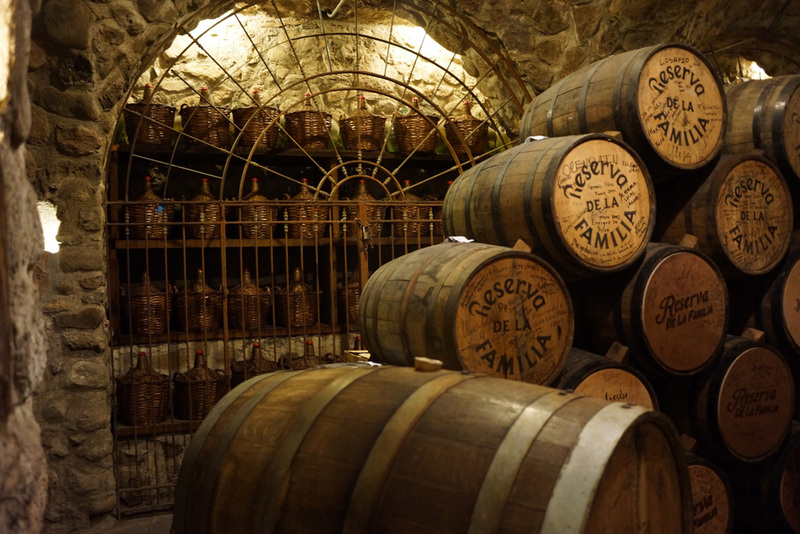 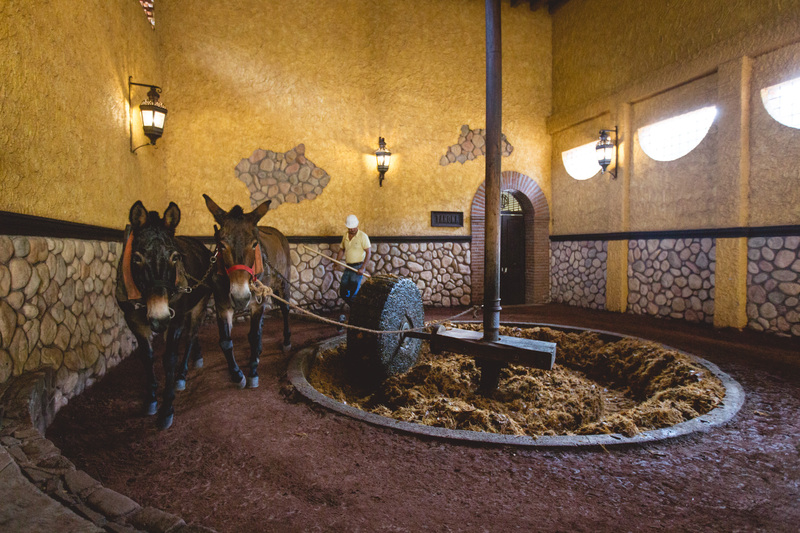 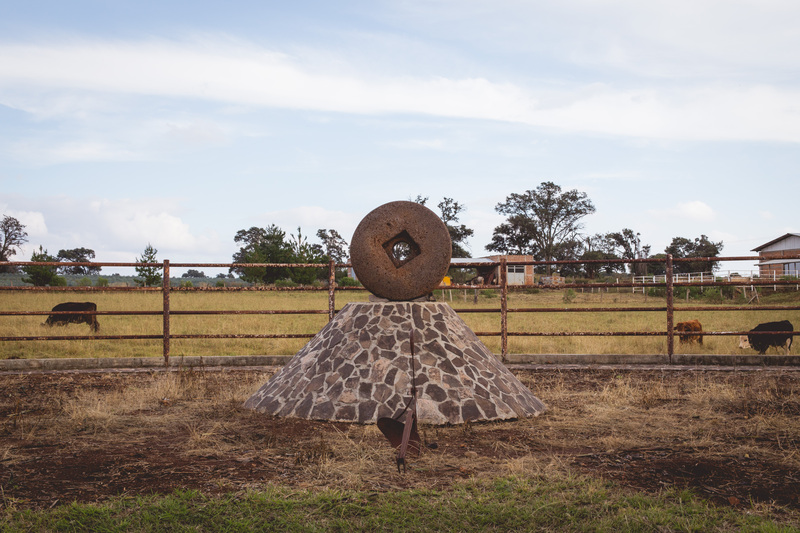 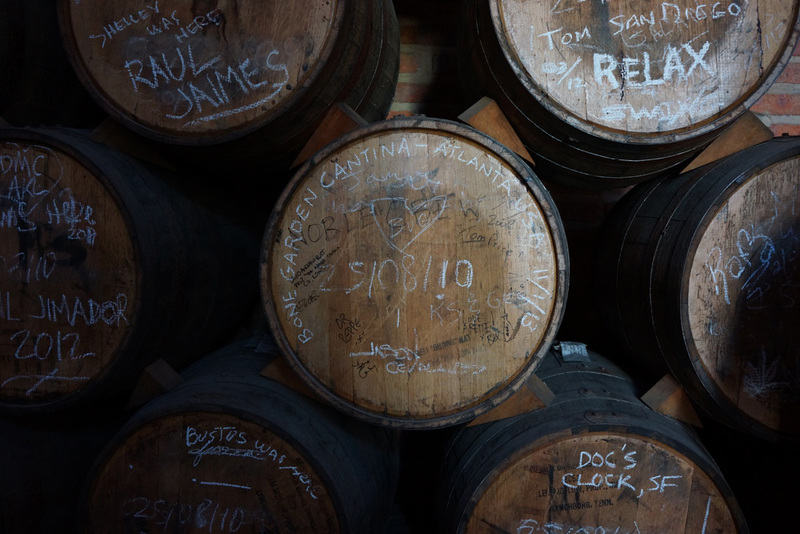 Tequila giants like Cuervo, Herradura and Sauza have been located here for centuries. 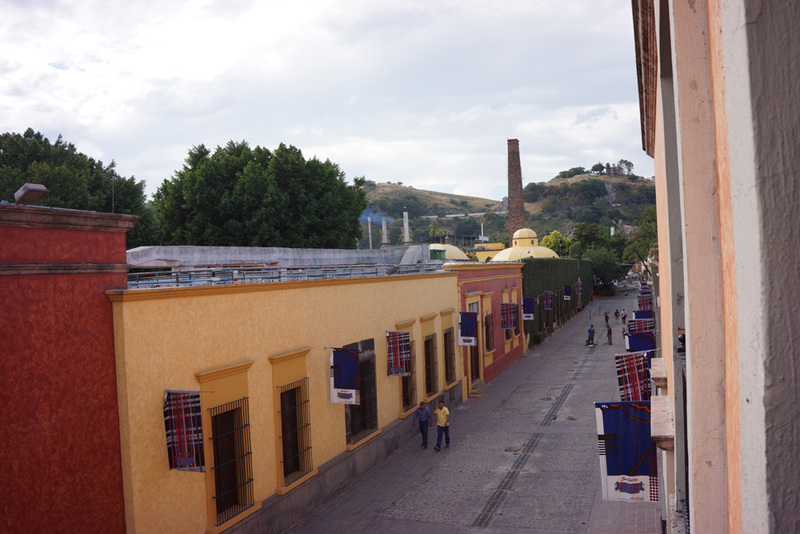 The Valley sits nestled between mountain ranges at about 5,000 feet above sea level. 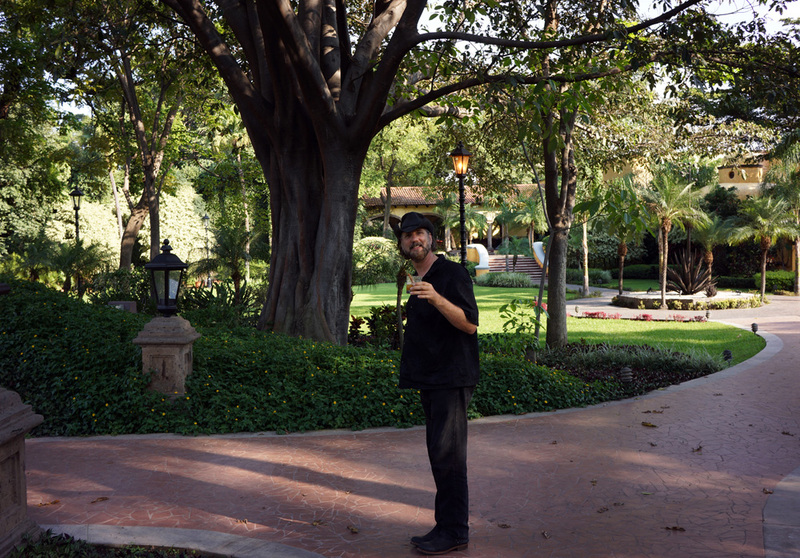 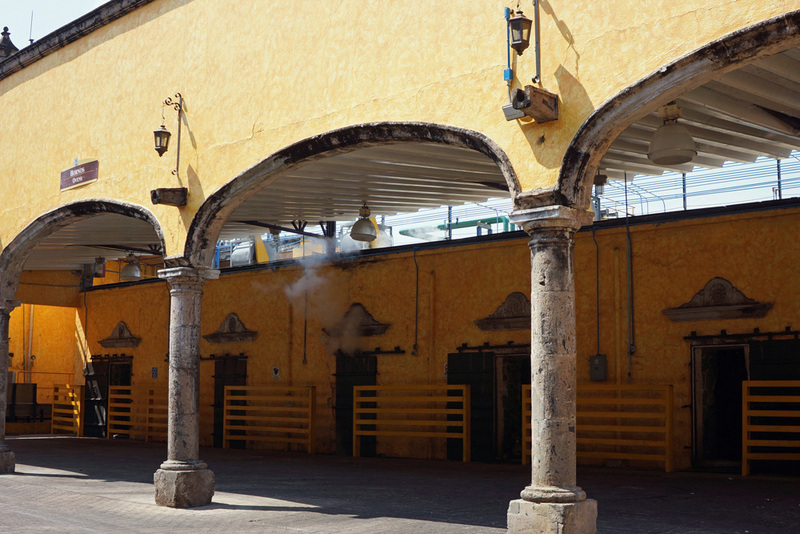 The landscape is dominated by the dormant Tequila Volcano, whose natural springs still supply water to many of the distilleries that sit beneath it. 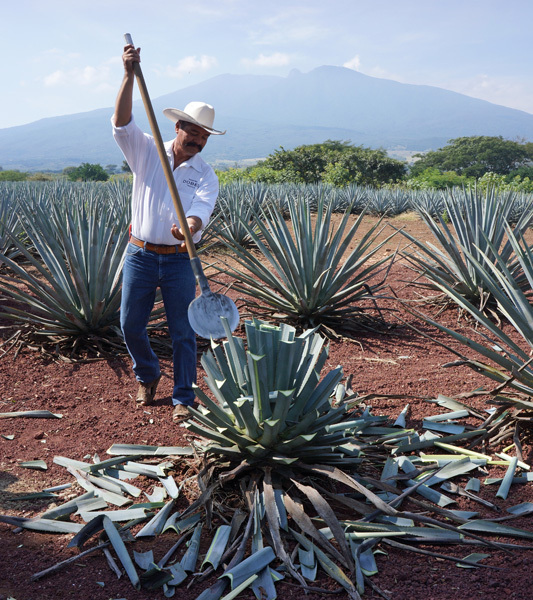 The Valley’s rich volcanic soil and warm climate provide an ideal growing environment for the blue agave, which reaches maturity at 7-9 years in this area. 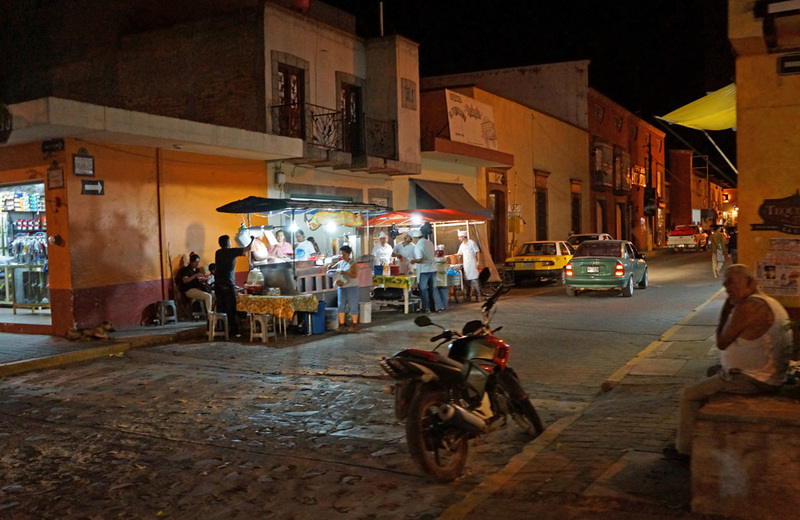 About an hour’s drive northeast of Guadalajara is the Los Altos region (also known as the Highlands). 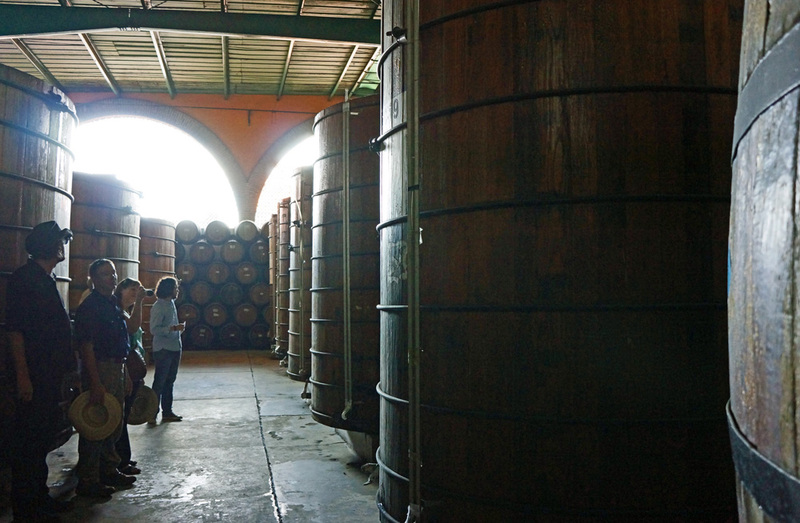 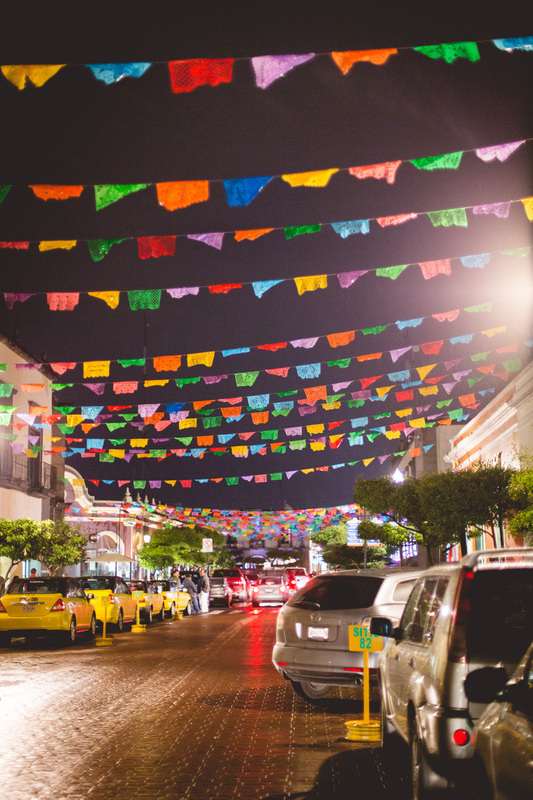 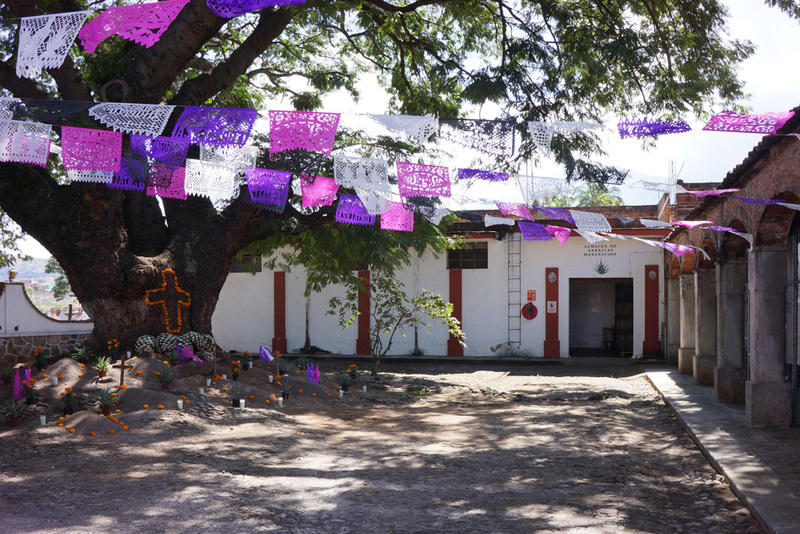 Los Altos, along with the Valley of Tequila, is one of the main tequila-producing regions in the state of Jalisco. 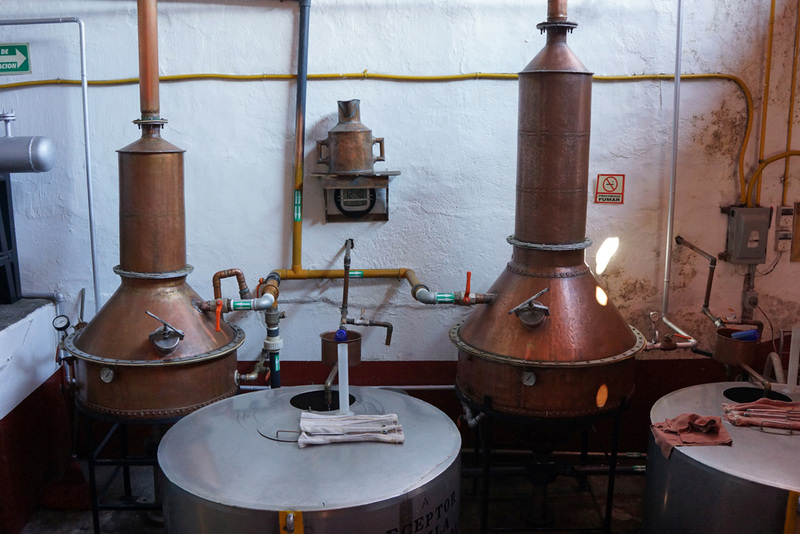 Tequila produced in the Highlands taste different than tequila from the Valley. 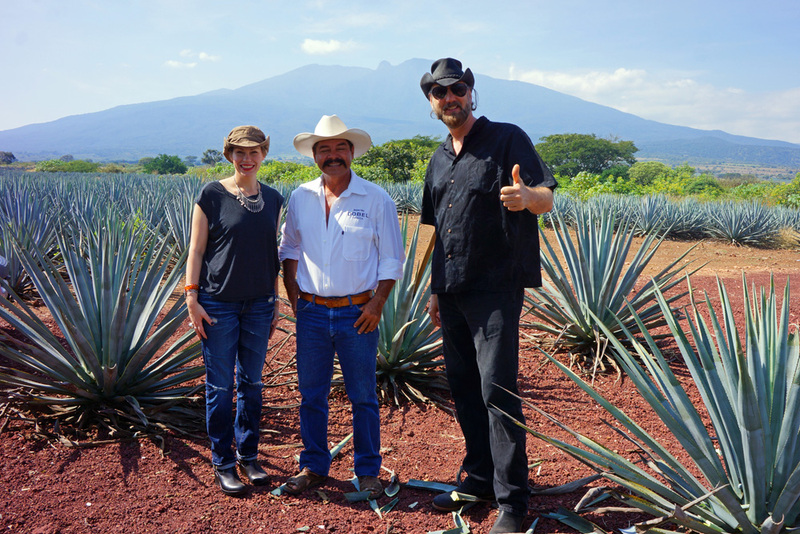 One big reason has to do with where the agave is grown. 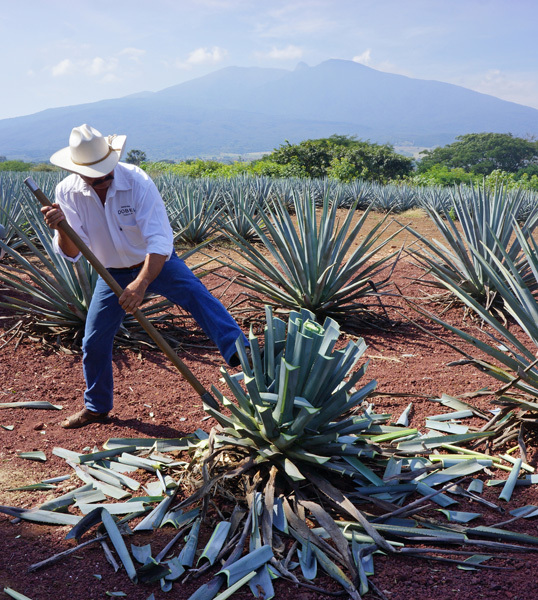 Up in the mountains of the Highlands, red clay soil, high altitudes (about 7,000 feet above sea level), cool temperatures and various microclimates create stress on the agave plant. 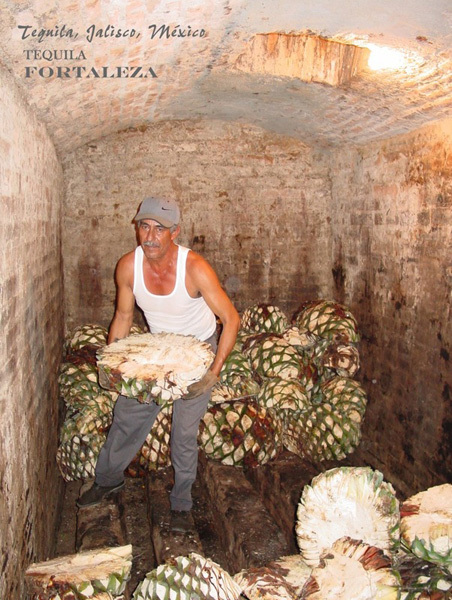 When the agave is stressed, it grows slower and concentrates more flavors into the heart of the plant. 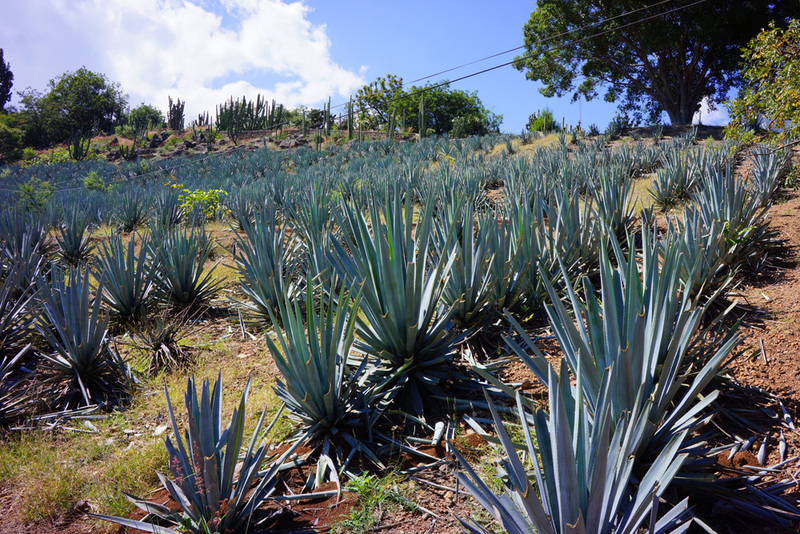 Highland agave takes about 8-10 years to reach maturity, resulting in a tequila that tends to be sweeter, more floral, and fruiter than Valley tequilas. 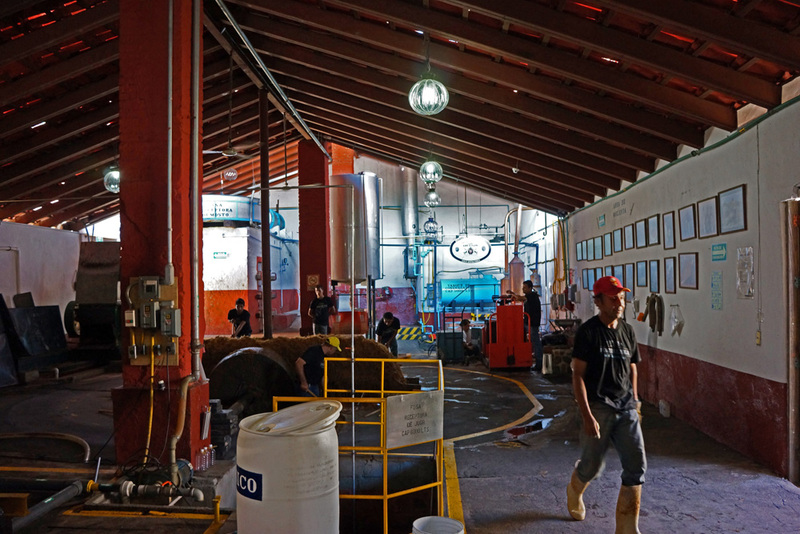 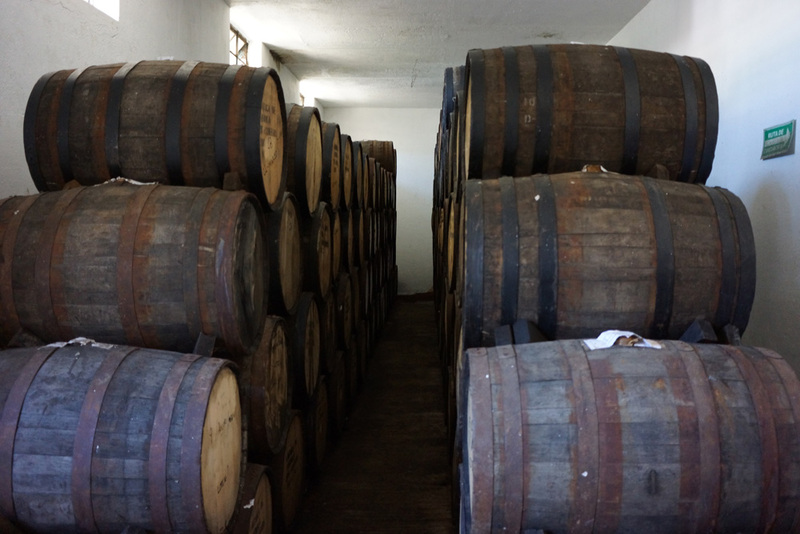 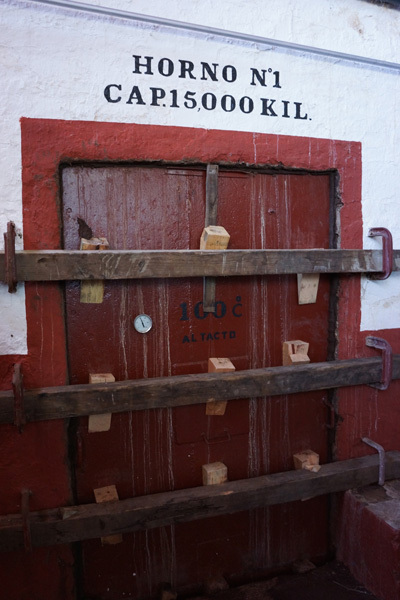 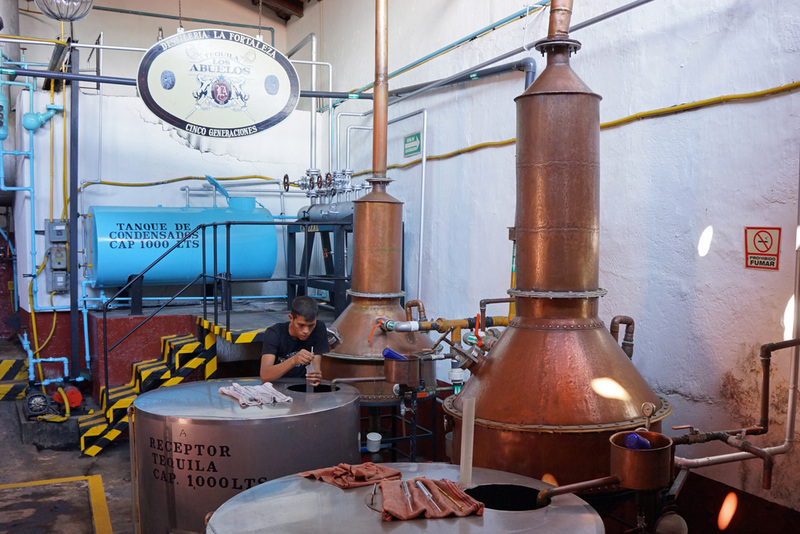 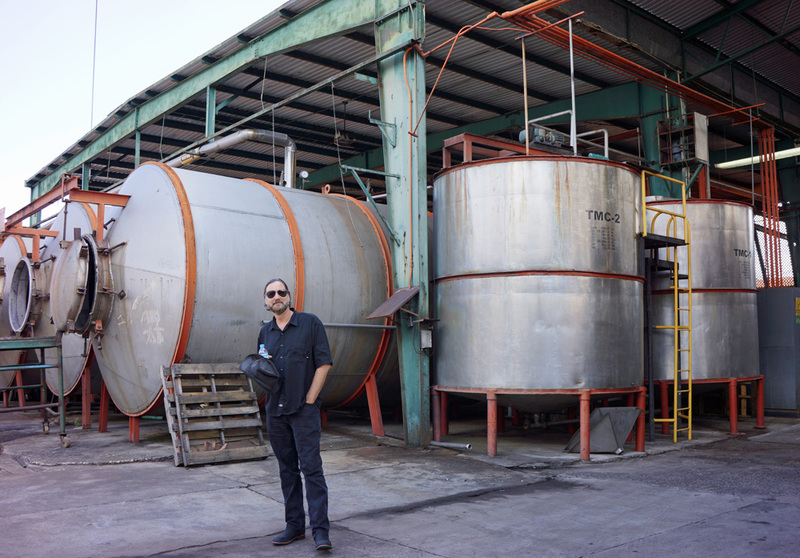 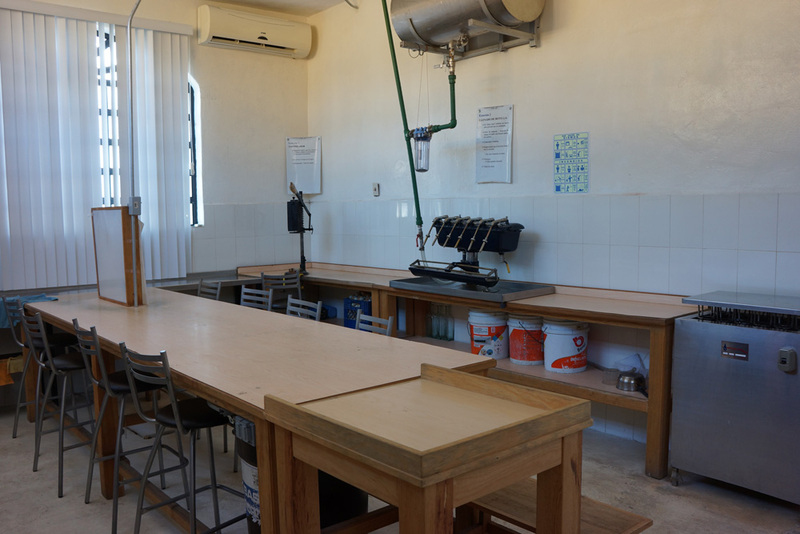 Another difference is that producers in the Highlands make Tequila on a smaller scale and usually with more traditional methods than the larger, more industrialized distilleries in the Valley.